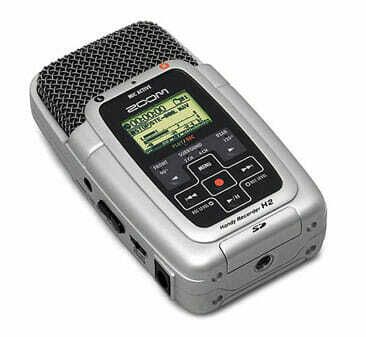 Buy a portable recorder with built in microphones. Small, low budget recorders won’t set you back much money (you can get a second hand Zoom H2 for less than $100 on eBay) and they will allow you to record surprisingly good quality audio. I own a Zoom H2 (original version) and it’s small, light weight, easy to use and records uncompressed wav audio at up to 96kHz, 24Bit (higher quality audio can be achieved on other devices but this is ample for most recordings, even for commercial purposes and stock libraries). The u nit includes built in stereo condenser mics (four in total for front or back (120 or 90 degree separation)) and can be used to capture Middle Side recordings for greater control over the stereo width in mix-down. (Don’t worry about this for now but is worth explorng if you decide later). Using the menu, you can select the audio quality preset, select which set of mics to enable (front or back), adjust the recording volume and then simply hit record. Simple. Plug in the unit to your computer via USB, transfer the files and that’s it. Yes, these are the basic controls and a unit such as this also provides so much more which you can explore for yourself. One last thing… The foam windshiled that comes with such recorders are pretty much useless for field recording… check out Rycote for their range, which will enable you to record in wind without it affecting your recordings. Just Google ‘Portable Audio Recorders’ to take a look at the range of other units on the market. This is another essential investment. 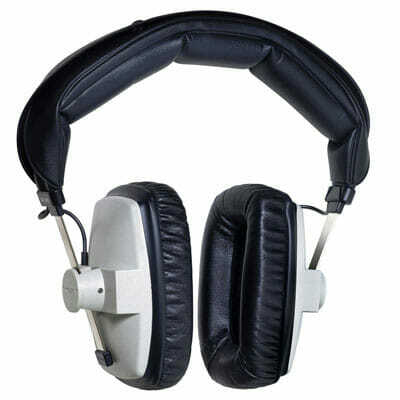 Choosing headphones that don’t ‘color’ the sound by adding e qualization is recommended… Consumer headphones designed for listening to music usually offer some form of EQ, often an increase in lower and upper frequencies. When recording and mixing sound effects, you really need a flat frequency response as then the resulting sound is natural, allowing the end-user to add EQ and effects to suit their project. I personally use Beyer DT100s but there are many out there for $100 or less and Googling ‘Field recording headphones’ will help you find other alternatives. Once you have recorded your sounds, you need to edit them. The key is to try and record your sounds as well as possible in the first place. Adjust recording levels accordingly… be aware of background noise or other undesirable sounds. Removing these in the edit is a tricky task and it is far better to work with a clean recording than not. I recommend you try Audacity, which is a free audio editor and will allow you to edit your sounds and even add effects, dynamic processing and other audio plugins built in. Some tips: Always add a very small fade in and out at the end of your audio. This isn’t to create an audible fade, but to stop any clicks when the sound is played on systems. Use ‘Normalization’. This is normally selected in a ‘processing’ tab and allows you to turn the overall audio volume level up, based on the maximum peak of the sound. I personally always normalize to -1dB. Other dynamic processors such as compressors and noise gates will be extremely useful and are worth checking out when you feel comfortable to. To keep this article short and as basic as possible for those interested in working as a sound designer, I have skimmed very lightly over the surface of what can be a very in depth subject. 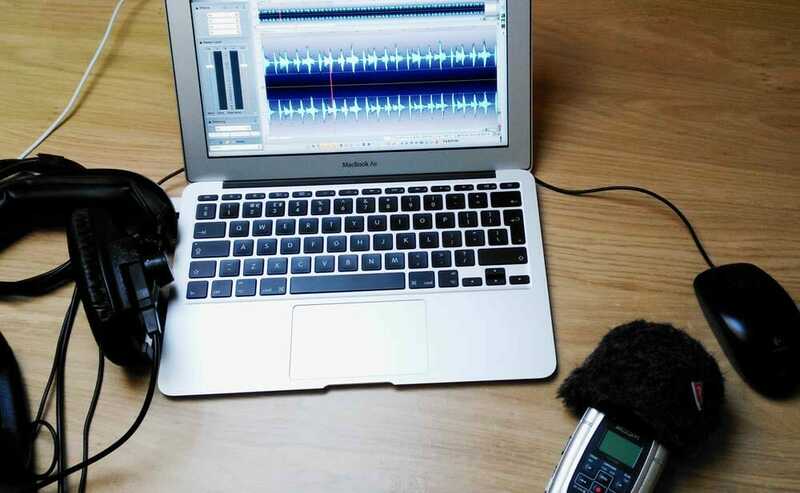 However by investing a small amount of money and time into learning this craft, you can achieve some very usable sound effects very quickly and even sell them on stock audio libraries to make some extra money!